Talk about a hot dessert on the table lickity split. These come together in no time flat and taste amazing! I made them 3 times in one weekend…I see you judging me. I needed to get the recipe just right! 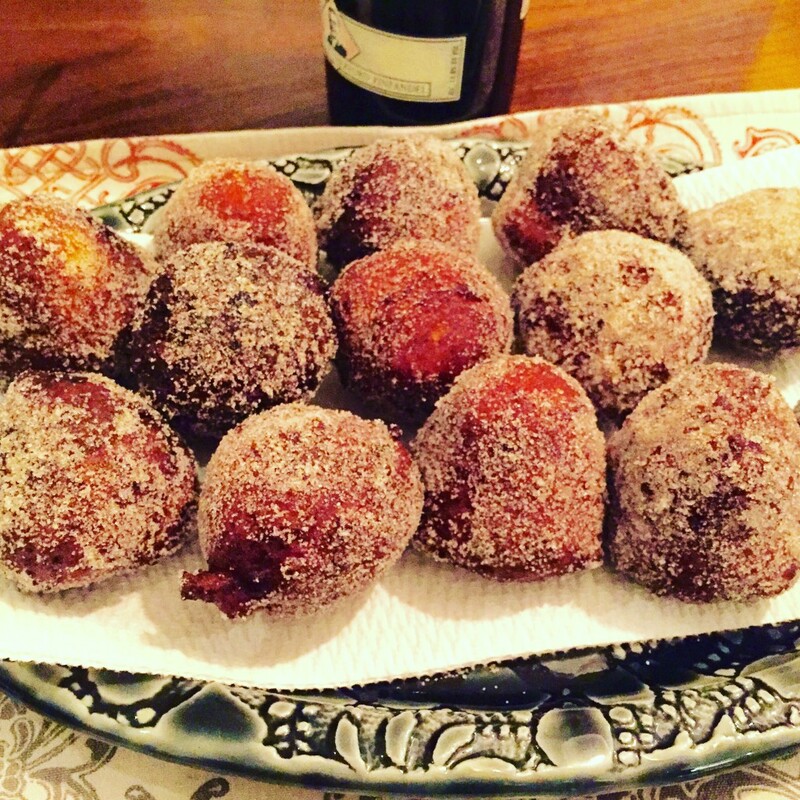 Who doesn’t love hot fried dough rolled in cinnamon sugar, dipped in Nutella or drizzled with maple syrup? Yummers!!! The last three are for me. In a large bowl, whisk together the flour, baking powder, salt, cinnamon and nutmeg. Blend the ricotta, eggs, zest, sugar and vanilla until very smooth. Mix the wet ingredients into the dry ingredients and stir until combined. The mixture should resemble a thick cake batter. Heat at least 1 1/2 inch of oil in a pot. You want to bring the oil to about 350°F. If you don’t have a thermometer, just drop a piece of fresh bread into the oil. If it sizzles and begins to brown, you’re good! 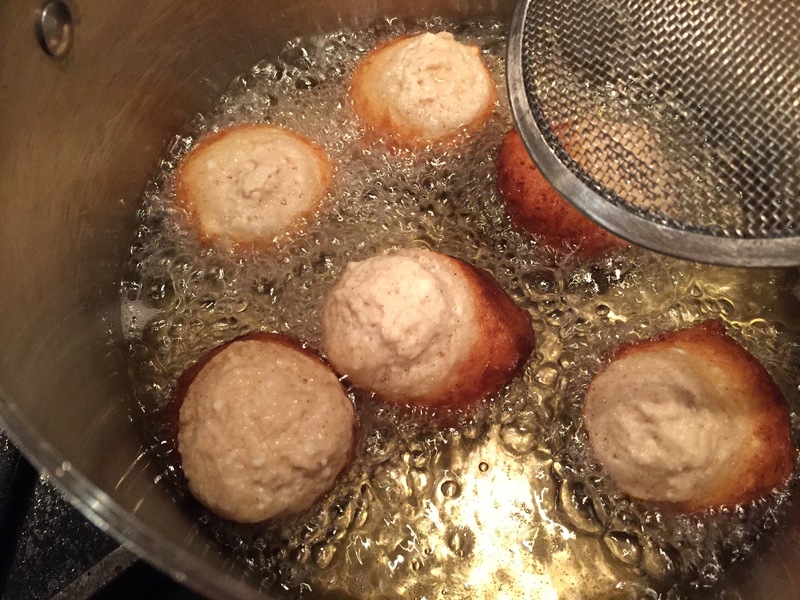 Using a small ice cream scoop, scoop and carefully drop ball fulls of dough into the hot oil. Don’t overcrowd the pot or they will stick! 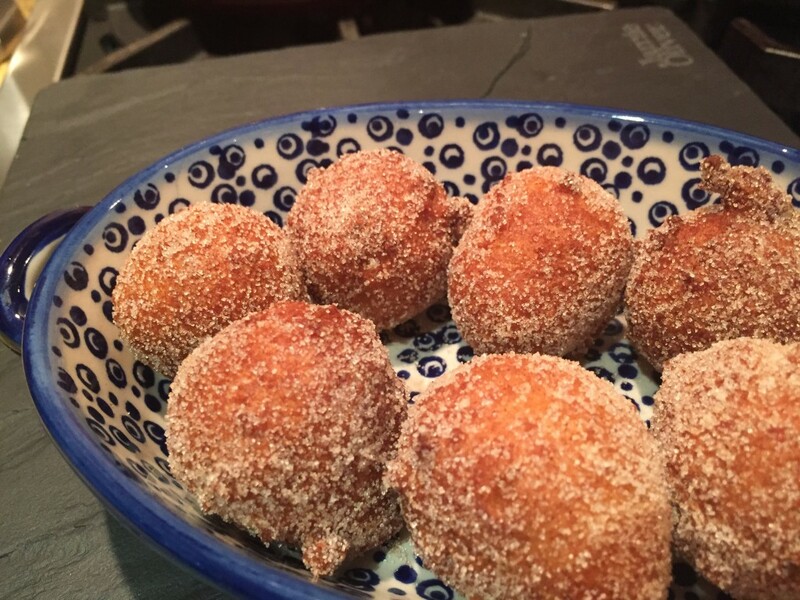 Instead, cook a few at a time so your doughnuts don’t stick together. Once golden brown all over, transfer to a paper towel lined tray. 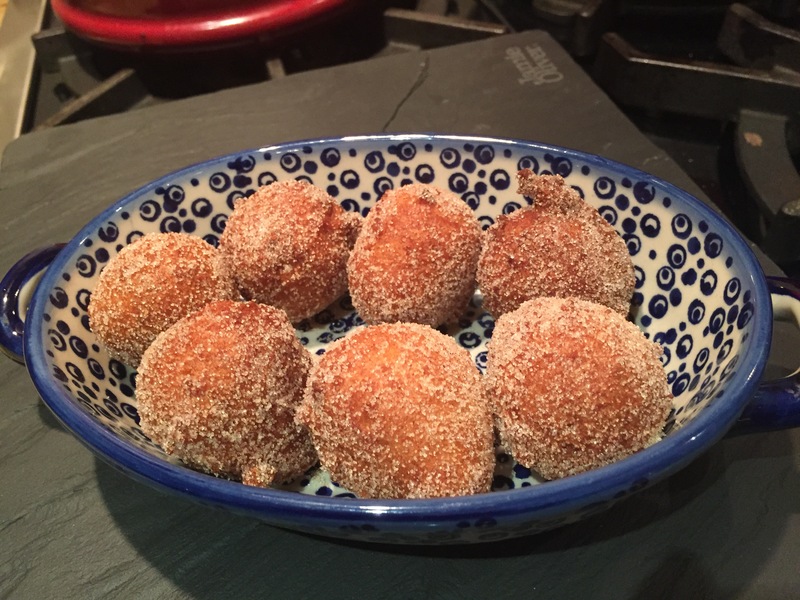 In a large bowl, mix the cinnamon and sugar and toss the warm doughnuts to coat. 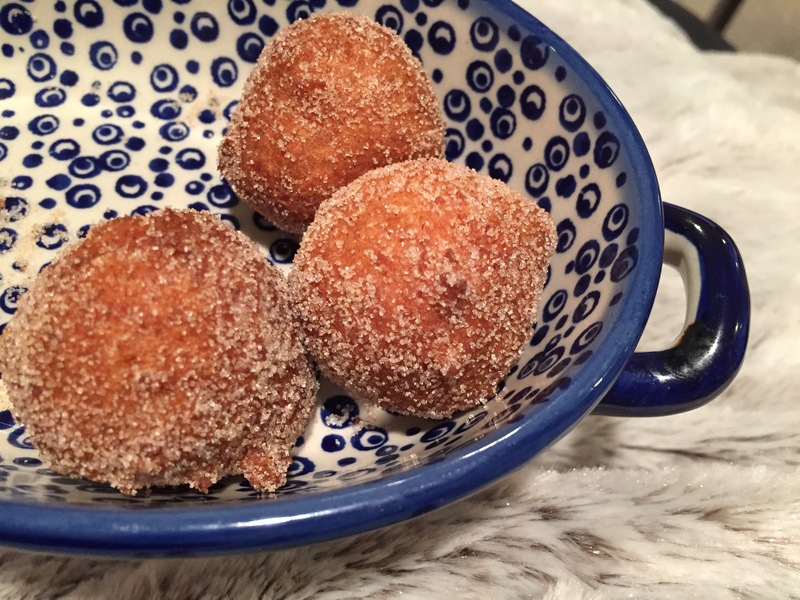 Serve with maple syrup or with Nutella! Val, these must be the yummiest things ever!